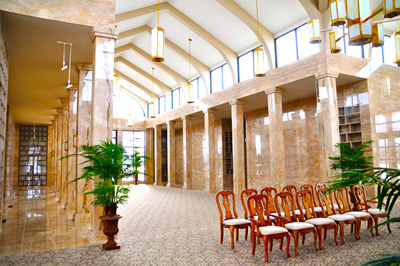 where families of the departed would always find solitude and peace. aside solely for this purpose. Thousands of white daffodils surround the entrances in early spring. The perennial gardens showcase a variety of plants and grasses. cemetery each year providing a “summer of color” well into the fall. mind in knowing we will provide respect and care for your loved one. and glass front niches are available on the garden level. A beautiful garden for the scattering or burial of cremation ashes. 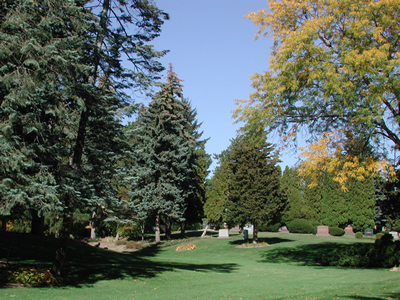 Traditional burial is available throughout the cemetery. Flush set markers provide a more "park-like" setting. Family monument sections are also available.